Many climate models over predict the water stress plants feel during the dry season because they don't take into account the moisture that the forest itself can recycle in times of drought. In this study, published in the Journal of Climate, the researchers removed unrealistic water stress from their model and found that the moisture that is recycled by the forest is sufficient to reduce the intensity of drought conditions. 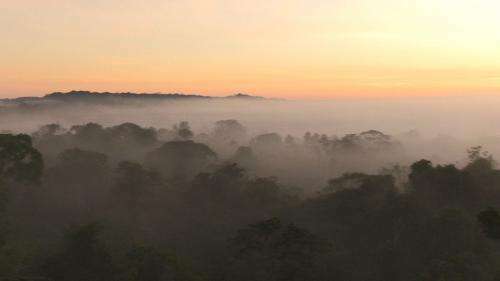 Dr Anna Harper from the University of Exeter said: "This study suggests that forests are not only more able to withstand droughts than we had previously thought, but it is the response of the forest itself that can reduce the intensity or length of the drought. 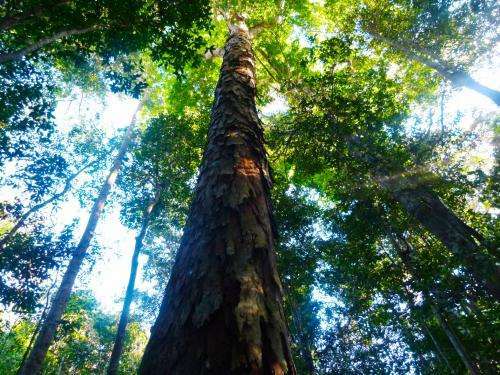 "Moisture recycling works best in large areas of undisturbed forest so it is essential that measures to protect the Amazon rain forest are in place to ensure that that this natural process can be maintained in what may be a drier climate in the future." Moisture recycling includes the full cycle of rain - from soil moisture to evaporated water vapour and back to rain. It depends on water both evaporating from the ground and also moving through plants from the roots to the leaves. 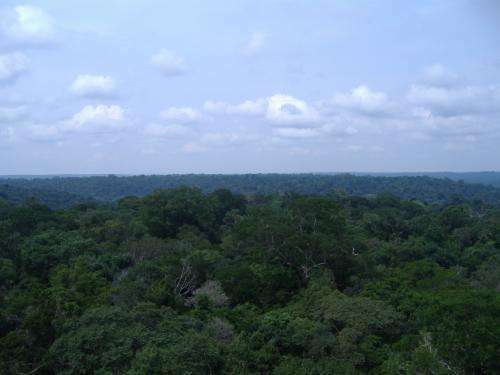 Moisture recycling is an important source of rainfall over the Amazon forest; about one-third of the annual rainfall in the southern Amazon forest can originate from moisture recycling. The process relies heavily upon the ability of plants to access soil moisture. During particularly severe droughts, trees reach a limit in their ability to access and use soil moisture. In many ecosystem models, plants reach this limit too soon, increasing the water stress that plants are predicted to feel during the dry season. In reality, moisture recycling can increase during the dry season resulting in increased atmospheric moisture, and even rain. This acts to reduce the water stress felt by the forest plants. The researchers took this dry season moisture recycling into account in their new model. Climate change induced drought is likely to become a bigger problem in the coming years and forest conservation can help to mitigate the consequences. Large areas of undisturbed forest are more able to maintain moisture recycling during dry periods and are better able to recycle rainfall. Disturbed areas of forest, including those bordering pasture, are less able to maintain moisture recycling and as a result are less able to withstand drought. Moisture recycling does not make the forest immune to drought but it can make the impacts of drought less severe. The optimum conditions for moisture recycling occur during the unstable climatic fluctuations at the end of the dry season.